Download Flat Sports Iconset Free PSD. 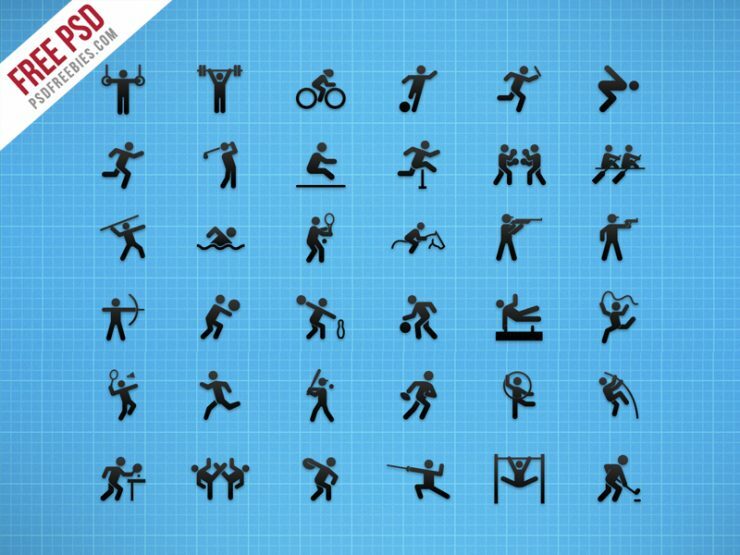 This is a full vector icon set including all the current Games sports like Archery, Gymnastics, Boxing, Athletics, Badminton, Basketball, Cycling , Football, Golf, Handball, Hockey, Judo, , Rugby Sevens, Sailing, Shooting, Swimming, Table Tennis, Taekwondo, Tennis , Weightlifting and Wrestling and More. All icons are vector Shape, these icons are easily scalable.